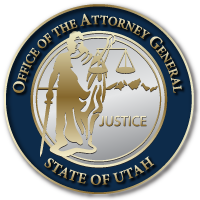 SALT LAKE CITY December 30, 2016 – Attorney General Sean Reyes issued the following statement upon the death of former Brigham Young University men’s volleyball coach Carl McGown. “To lose two Hall of Fame coaches on consecutive days is quite a loss to Brigham Young University and the sports world. “Coach Carl McGown was a fierce competitor and an incredible innovator, recruiter and tactician. His success building champions started from his youth camps all the way to the highest level of international competition. Bringing national championships to the State of Utah and Brigham Young University and winning gold medals and international respect for the US National Team are part of his legendary legacy as a coach. Raising a family that has continued playing and coaching while contributing to their communities is a part of his legacy as a father. “Coach was a dominant player in his time, leading his BYU squads as an All-American and then playing at the world level. After playing, he built a powerhouse team in Laie, Hawaii as head coach for the Church College of Hawaii. Later, in addition to winning national titles at BYU, he coached 18 All-Americans. As a national team coach, he helped lead the USA to three Olympic gold medals, a number of world championships and many other Olympic and world top three finishes. “I wish I had been able to play more for Coach McGown. He influenced dramatically my collegiate volleyball career as he has for many players much more talented and accomplished than me around the world. He took a first-year Division I team my freshman year that went 2-27 and built a dominant NCAA champion. He was often underrated and overlooked by those outside the sport but within the USA and world volleyball community, he was as revered as other iconic names such as Al Scates and Marv Dunphy.